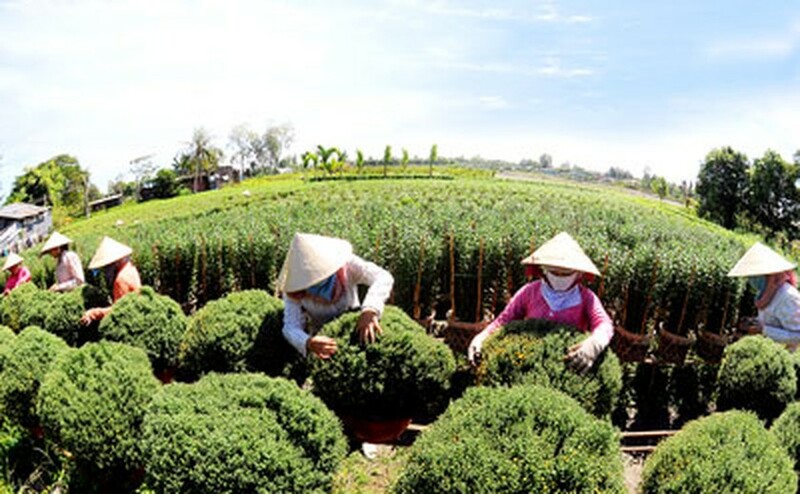 Most of the flower growing areas in the Mekong Delta Provinces like Dong Thap, Ben Tre and Tien Giang have already sold out to traders in the northern region, who still keep coming down south to purchase more ahead of Tet festive season. Flower prices have shot up, especially for hardy garden mum, for which traders pay VND50,000 a pot. According to Cai Mon Flower Cooperative, hardy garden mum growers suffered losses in recent years. This year, they reduced the growing area, leading to low output. Orchids are also much in demand in the Mekong Delta. Customers are streaming to farms to buy bulk quantities. The price of orchids has increased by 20-30 percent compared to last Tet season.